VerumFX (website) is a forex brokerage company founded in 2015. The main goal of the company is to make professional trading available to everyone. The company bases its work on the principles of honesty and transparency. 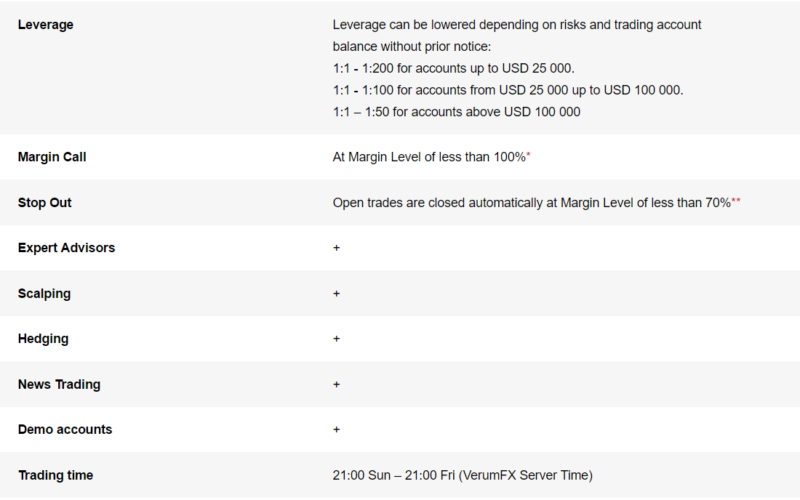 VerumFX uses the prime brokerage principle to introduce the clients’ trades directly to the interbank market. 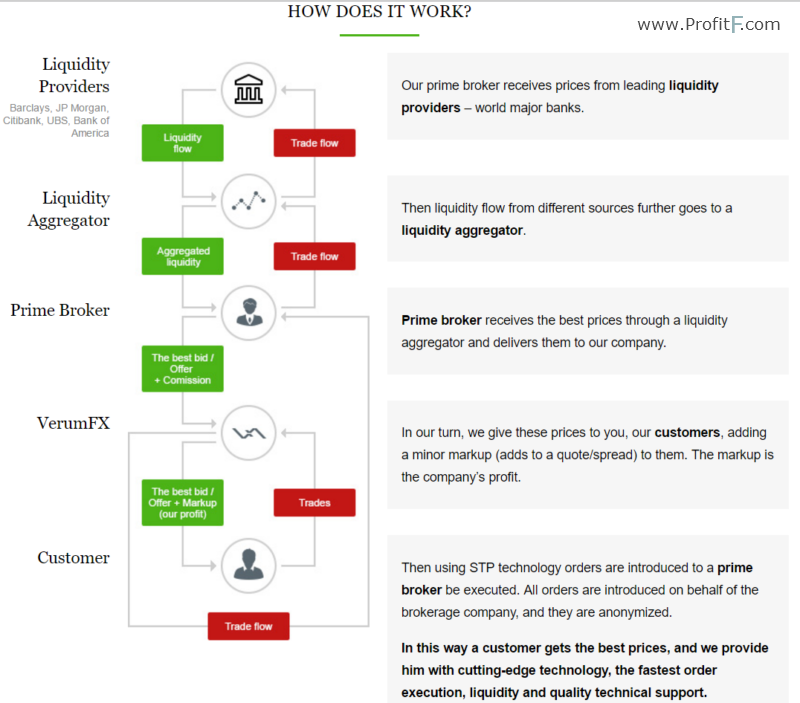 The prime broker receives the best liquidity from world leading banks and provides it to the company’s clients. So traders can execute trading operations at the most beneficial prices. Traders, What you think about “VerumFX” ? Every trading order from a client is instantly processed using the STP technology and is redirected to the prime broker who ensures introduction of trades to the live international currency market. 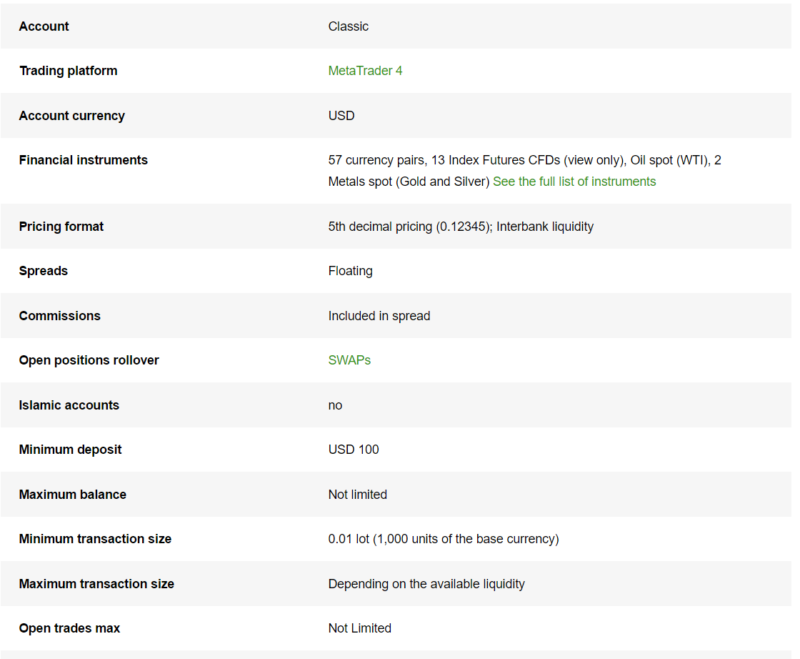 VerumFX differs from the majority of forex brokers, as the company offers no bonuses, actions, or refund of commissions for deposit and withdrawal of funds, etc. The company made a decision to refuse all non-functional expenditures that might threaten the financial stability of the broker. As bonus payouts require additional expenditures from the broker that might finally lead to the balance sheet deficit and affect the security of the clients’ funds. According to VerumFX head management, bonuses are a tool to attract clients with a here-and-now profit, and VerumFX goal is to provide conditions for beneficial and long-term cooperation. The broker offers excellent conditions for beginners as well as for professional traders: user-friendly and up-to-date MetaTrader 4 trading platform allowing to open a demo account, the most liquid and highly demanded market tools, and five-digits quotes. Traders also can download the mobile platform to their smartphones in order to continue forex trading anytime and anywhere. Margin requirements can also be changed depending on the market conditions for traders to be able to trade with minimum risks and maximum comfort. 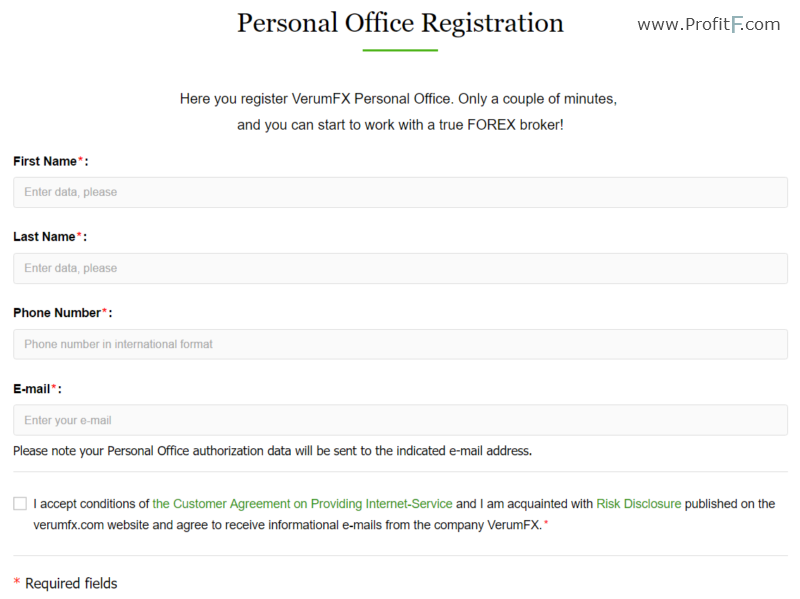 Registration of new clients at VerumFX is quite simple and takes a couple of minutes. One needs just to fill in the registration form on the website (enter the first name, the second name, e-mail address, and phone number). All client personal data is reliably protected, and the company guarantees its confidentiality. Qualified customer support is available 24/5 (Mon – Fri: 9:00 a.m. – 6:00 p.m., GMT+3 Sat – Sun: Days Off) One can contact VerumFX specialists by e-mail (info@verumfx.com), online chat, or by requesting a free call. Now, everything seems OK with VerumFX broker however “ProfitF team” will keep monitoring this broker and update this review if any changes take place.